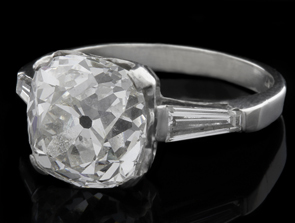 A handmade platinum ring . 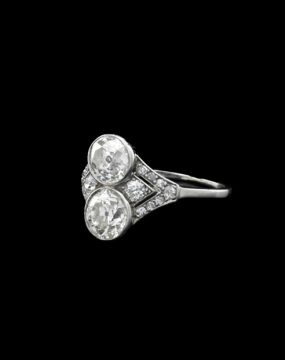 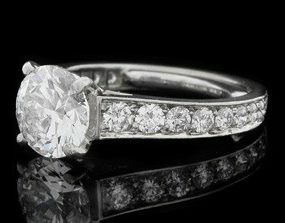 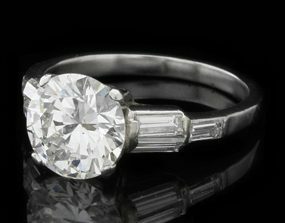 The centre is claw set with one old European cushion cut diamond estimated at approx., carat and assessed at colour J-K and clarity SI1 . 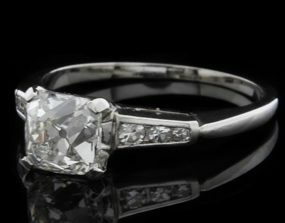 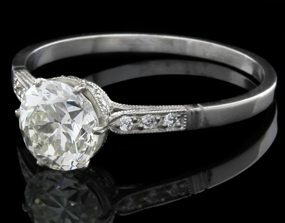 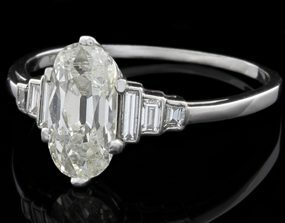 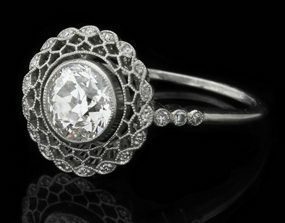 Baguette cut diamonds on either side estimated at carat. 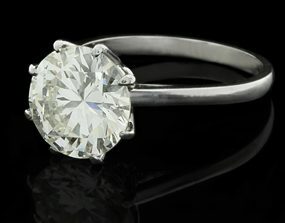 A handmade platinum ring . 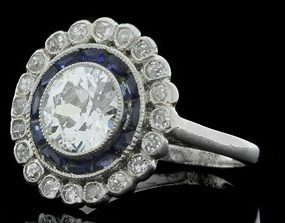 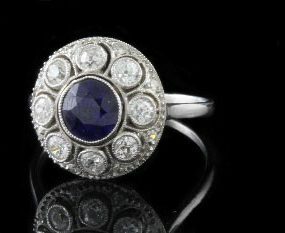 The centre is set with one blue sapphire estimated at carat and surrounded by eight old European cut diamonds estimated at carat and assessed at colour H-I and clarity VS1-2 .